I am always a little leary when I see a film that is written, directed, and stars the same individual. Most of the time these films are not that good because there is a lack of colaboration and feedback. The Boy Who Harnessed the Wind is the exception. I read the book that this was based on. You can read my review of the book here. It’s a powerful story about how a young boy brings electricity to his village by building a windmill. I was also interested in seeing the adaptation. You can call this a passion project for Chiwetel Ejiofor, but you can also say that the passion comes through on screen. You don’t need pyrotechnics to tell a compelling story. What you need is conflict, and this story has plenty to go around. The young man’s goal to build a windmill isn’t just a school science project, it’s a matter of life and death. He lives in a small African village where farming is the main source of income and food. Electricity is needed to run a water pump that can be used to help irrigate the dry soil. The film touches on other themes including poverty, corruption, and the importance of education. There’s an old proverb that goes something like this: feed a man a fish and he eats for a day; teach a man to fish and he eats for a lifetime. This film carries that sprit and message. My only criticism is that the first ten minutes are a little slow. I also wasn’t a fan of the framing device that was used. But those are minor complaints for an otherwise excellent film. 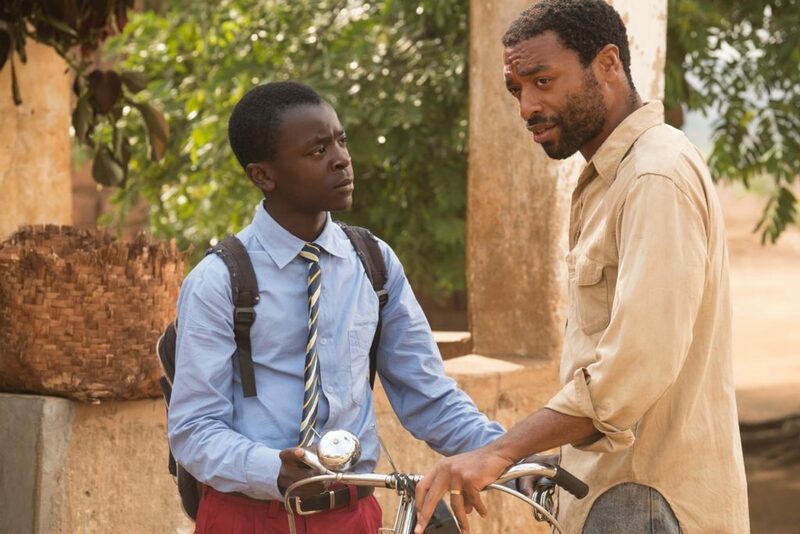 The Boy Who Harnessed the Wind is a Netflix original film. If you liked Roma, you’ll love this.